Simple recipes make me swoon. 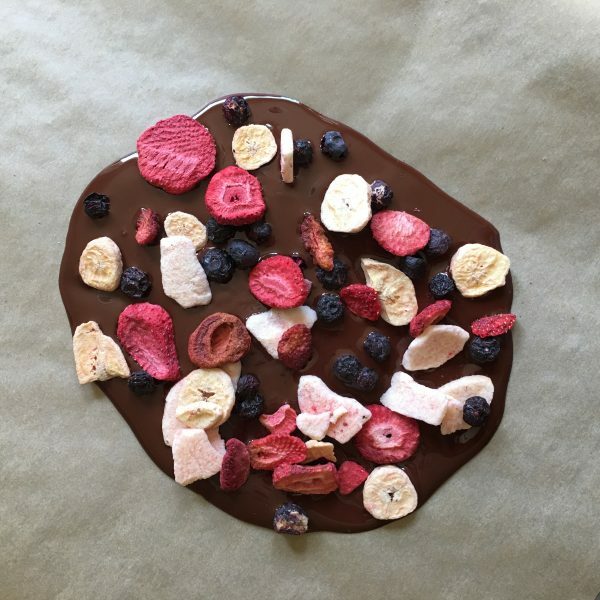 I’m all about minimal ingredients and easy cleanup, not to mention treating myself with dark chocolate and freeze-dried fruit! It doesn’t get any simpler than 2 ingredients. Unless you have 1 ingredient…but that isn’t a recipe. 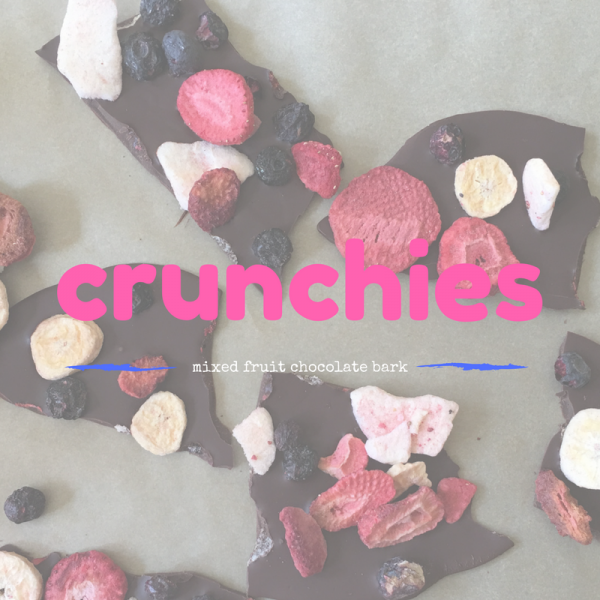 And it doesn’t get much yummier when the 2 ingredients are Crunchies and an awesome dark chocolate truffle bar. There is much to love about freeze-dried fruit. The texture is a winner. It isn’t overly sweet like dried fruit. You can add it to most anything (within reason of course) for sweetness, crunch and the health benefits of fruit. 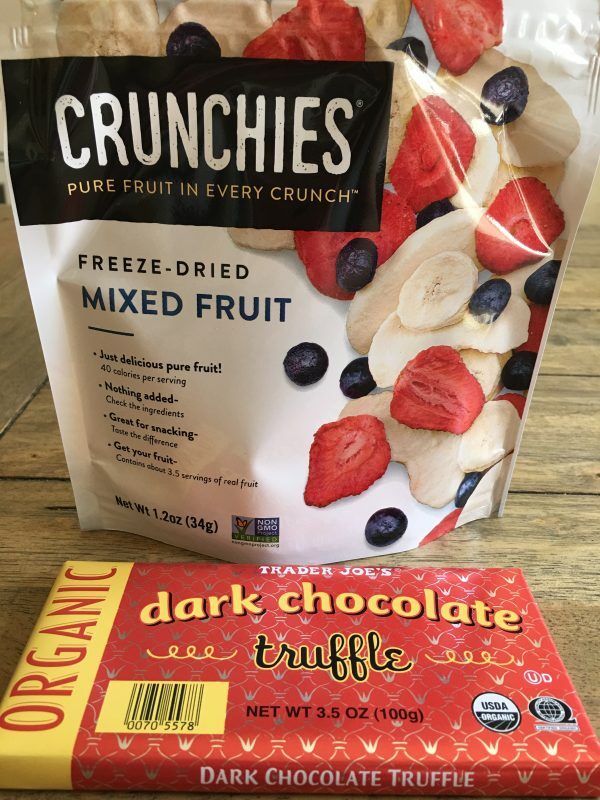 Crunchies freeze-dried snacks take all this goodness up a bunch of notches. 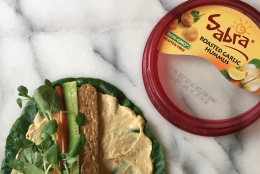 Made with just pure fruit or veggies, the quality of produce matters, and Crunchies wants you to know where your delicious snacks are coming from. 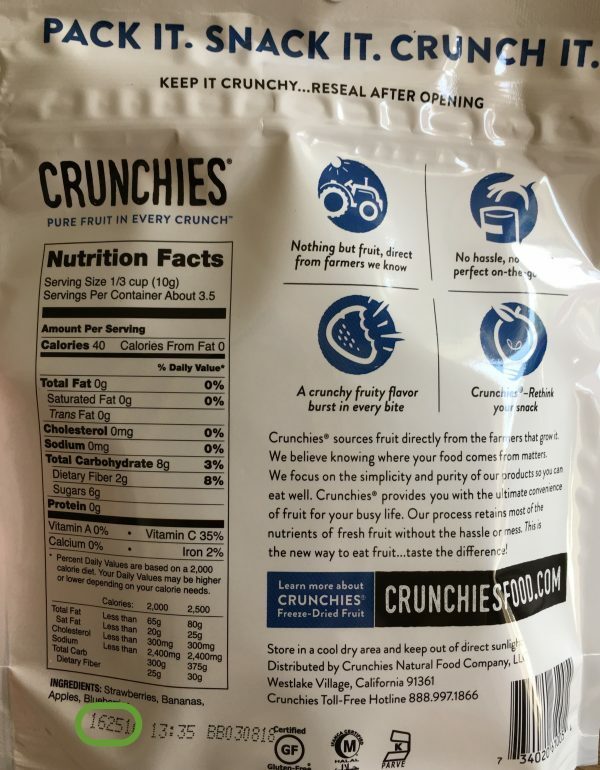 To track where your Crunchies came from, you can visit CrunchiesFood.com/Traceability and enter the 5-digit code on the bottom back to find your fruits’ roots! I entered the code of the Mixed Fruit bag I used for the following recipe and I found where all the 4 different fruits came from and how they were grown. My blueberries came from the Netherlands. Cool, huh? Mango, cinnamon apples, grapes and beets are delicious options at Crunchies online shop. Straight-out-of-the-bag snacking is always welcome, but if you have a bar of dark chocolate calling your name, make this super simple recipe! 1. Melt the chocolate in the microwave or in a double boiler. 2. 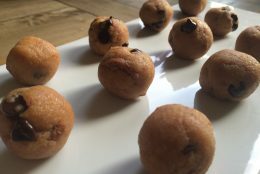 Place a sheet of parchment paper over a cookie sheet and pour melted chocolate into the center. Use a spatula to smooth it into a thin oval. 3. Sprinkle the Crunchies evenly over the chocolate and set the sheet in the fridge to harden for at least 30 minutes. 4. 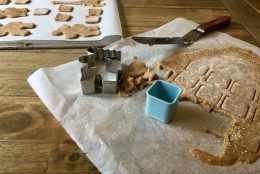 When hard, break into pieces and enjoy!